This content is provided by Samir A Gandhi. Co-leader of the Corporate group and managing partner of Sidley's New York office. 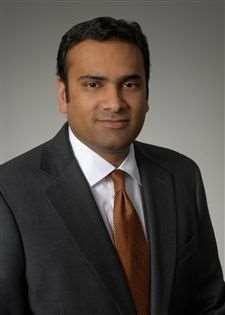 He focuses his practice on capital markets offerings, corporate matters, and private equity transactions. He represents issuers and underwriters in a broad range of capital markets activities and has extensive experience advising corporate clients on disclosure and governance matters, complex financial structures, public offerings and private placements. He has represented clients in numerous industries including financial services, insurance, industrials, clean energy, REITs, life sciences, restaurants, retail and entertainment. The George Washington University Law School (JD, 1993); University of Chicago (AB, 1990).